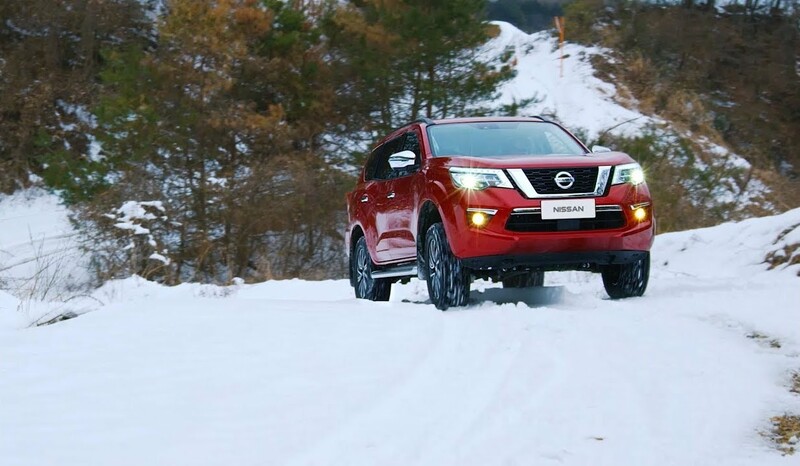 The Nissan Terra is now on sale in China, at both Dongfeng-Nissan and Zhengzhou Nissan dealerships. The Nissan Terra is destined for Thailand and other Asian markets, possibly including India. The Nissan Terra is based on the third-gen Nissan Navara and the successor to the Nissan Paladin, known as the Nissan Xterra globally. 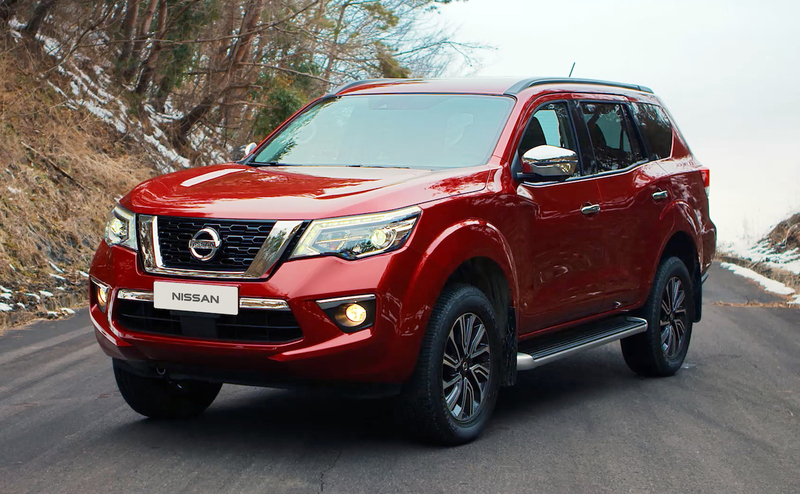 The body-on-frame SUV was designed in China and is the first of its kind launched under Nissan’s midterm plan, 'Nissan M.O.V.E to 2022'. The mid-size SUV is 4,882 mm long, 1,850 mm wide and 1,835 mm tall. It has a 2,850 mm wheelbase and a best-in-class 225 mm ground clearance. The Nissan Terra has only minor differences from the Nissan Navara in terms of design. At the front, it features a newer version of the V-motion grille with honeycomb mesh pattern structure, boomerang LED headlamps with LED signature, unique lower air intake with chrome garnish, sharper fog lamp housing with a distinctive chrome garnish and sportier bumper. On the sides, there are stylish 18-inch alloy wheels. At the rear, the boomerang LED tail lights and a more muscular bumper differentiate the SUV version. Inside, the Nissan Terra has seats for not seven, but five people. However, Nissan could offer extra seats in other markets. The design is mostly the same as that of the pickup truck version. Equipment highlights include Zero Gravity Seats, dual-zone automatic climate control system, seven airbags, Lane Departure Warning, Blind Spot Warning, Around View Monitor with Moving Object Detection and Intelligent Emergency Braking. The Nissan Terra is powered by the QR25 2.5-litre petrol engine that produces 135 kW (180 hp/184 PS) at 6,000 rpm and 251 Nm of torque at 4,000 rpm. 6-speed manual and 7-speed automatic are the transmission choices. Power goes to the rear wheels as standard, but a 4WD system is available. The Nissan Terra competes with the likes of Ford Everest (Ford Endeavour) and Mitsubishi Pajero Sport. The Nissan Terra’s prices start at 1,69,800 yuan (INR 17,61,469.58). Six colour choices are available: Gold Metallic, White Pearl, Brown Pearl Metallic, Silver Metallic, Black Solid and Red Solid.